Dimensions 1 by 7.50 by 9.50 in. Using specific, tailored examples and case studies from global financial services companies, Key Account Management in Financial Services provides marketing professionals in the financial services sector with expert advice on marketing and selling their financial products to large clients. Compiled from original research and interviews, this book can be used as a Ã¢ÂÂbefore, during, and afterÃ¢ÂÂ guide to practical implementation.ÃÂ Contents include: defining key account management in financial services; the customerÃ¢ÂÂs perspective; preparing for key account management; identifying key accounts; entry strategies; meeting the customerÃ¢ÂÂs needs; keeping on track. About: * Market-specific to financial services * CD Rom providing KAM analysis software, and access to further support. 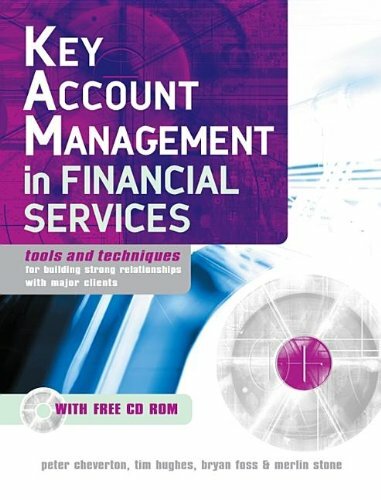 About: Using specific, tailored examples and case studies from global financial services companies, Key Account Management in Financial Services provides marketing professionals in the financial services sector with expert advice on marketing and selling their financial products to large clients.